The National Youth Baseball Championships is excited to welcome Baseball Lifestyle 101 as a content partner for the 2018 season as the popular social media community will be attending select Qualifiers and Championship Week. Baseball Lifestyle 101 will be attending qualifiers in Las Vegas (March 29-31), Myrtle Beach (April 14-15), Dallas (April 20-22) and Raleigh (April 28-29) and then the Championship Week in Yaphank, NY on July 23-29. While at the events, Baseball Lifestyle 101 will be working with NYBC to interact with teams and post exclusive content on their social media channels featuring over 500,000 followers. 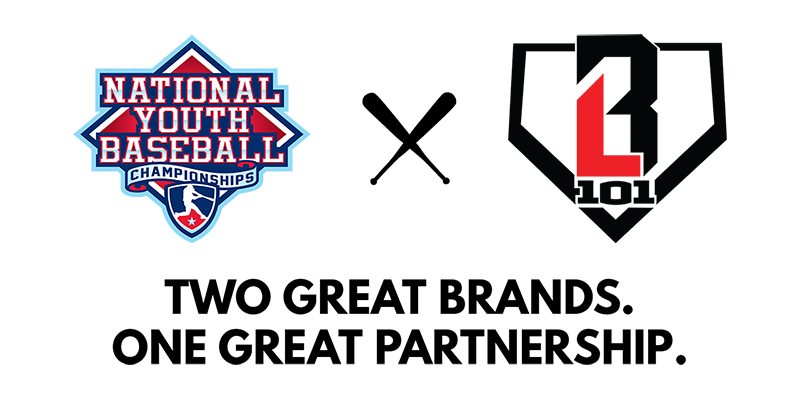 “We are excited to partner with National Youth Baseball Championships as they express the same love for baseball as we do here at Baseball Lifestyle 101,” said Baseball Lifestyle 101 CEO Josh Shapiro. Baseball Lifestyle 101 will have a branded booth on site with merchandise available as well so everyone can be treated to the full experience. Be sure to follow them on Instagram at @baseball_lifestyle101 and visit them online by clicking HERE!